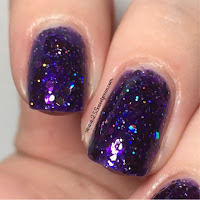 So yesterday I shared China Glaze Ugly Sweater Party, and now I have for you China Glaze Brand Sparkin New Year and it's perfect for a New Years mani! 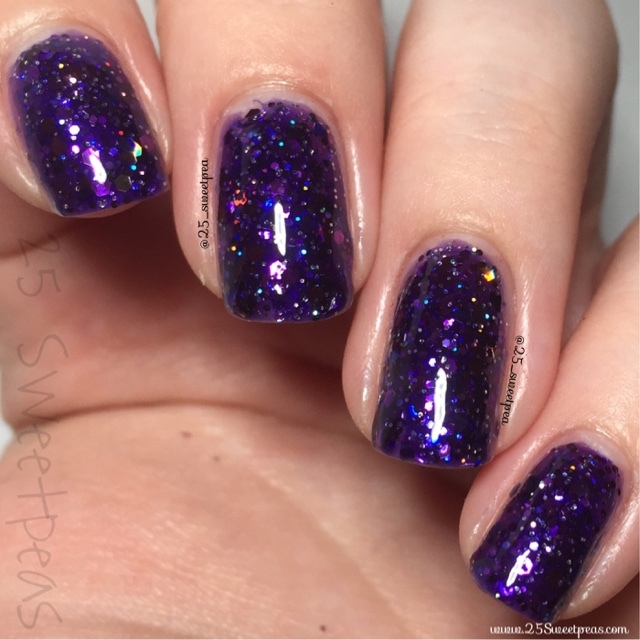 Only 2 coats and just look at this lovely deep purple! I am loving it! 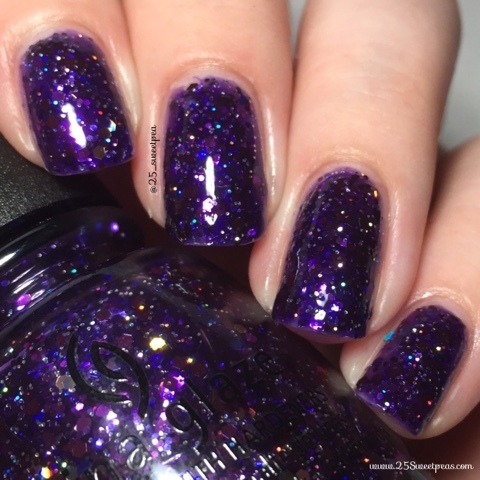 It's like the ultimate purple glitter at that. I love how it just picks up so many colors! There is one more similar to this in the collection that I may just have to use next. 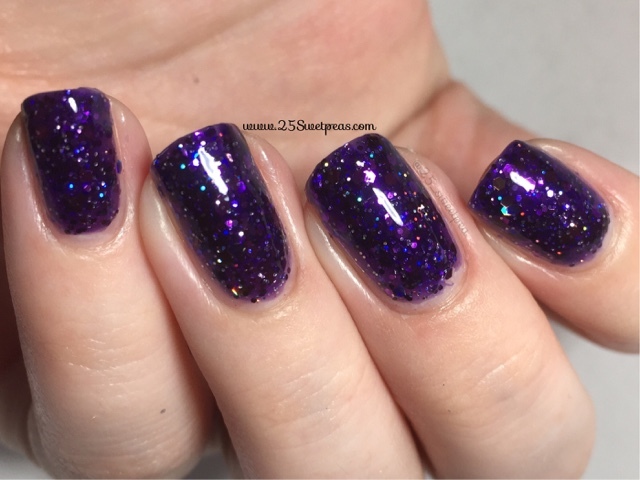 New Years Eve to me means sparkles so I may just keep this sparkly these going all week! ;) How does that sound?! 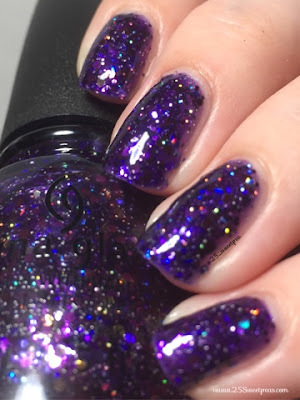 The thing with polishes like this is that they are just too pretty to do art on top of them right? I mean I think I may try and add something to this. Not sure tho! Any suggestions? !